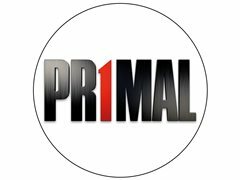 Primal Media, makers of quizzes 'The Code' (BBC) and 'The Wave' (W), are doing office run-throughs in Central London of an exciting new daytime quiz, and we're on the lookout for fun, lively, and entertaining pairs of contestants to come and take part. If you're available in the afternoon of Friday 18th of January, have a friend you can bring along, and you live in central London, then please get in touch. Expenses will be paid, and fun will be had!